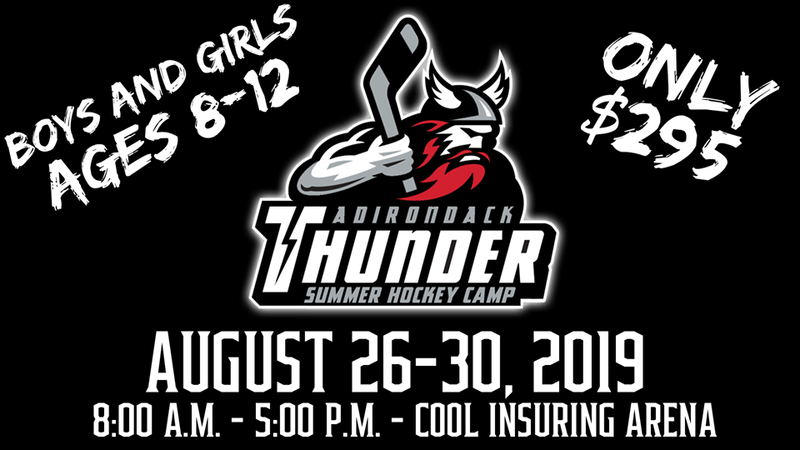 Adirondack Thunder coaches Alex Loh and Pete Dineen will lead the inagural Thunder Summer Hockey Camp from August 26th-30th. Camp is open for boys and girls 8-12. Registration forms available at the Cool Insuring Arena, or online at echlthunder.com/community. Registration is now open and spots are filling quickly! Call Molly at 518-480-3355 ext315 for questions!